As a young man, David L. Blain, CEO of BlueSky Wealth Advisors, was always working hard to earn extra money by cutting grass, delivering newspapers, laying sod, or paving roads. With the help of his father, he invested those hard-earned dollars and, as he watched his money grow, developed a passion for investing. David’s self-guided study of finance continued even as his main focus was on his engineering courses at West Point and later leading soldiers as an officer in the U.S. Army. Eventually, as he became more financially successful, David looked for assistance from investment, real-estate and tax professionals. To his dismay, he found a world of confusing titles, service models and fee structures. Not only that, David was underwhelmed by the level of expertise and personal service available to someone who wasn’t ultra-wealthy. He simply could not understand why it was so difficult to find a firm that provided honest, high-quality, reliable advice for a fee that was transparent and reasonable. 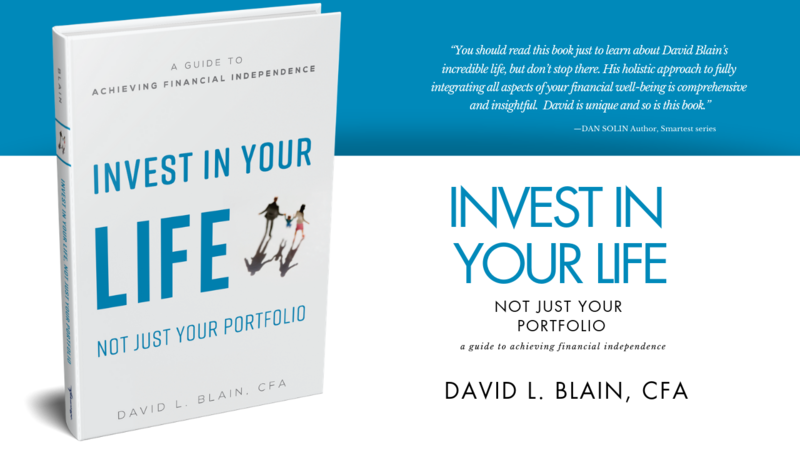 As soon as David left the military in 1999, he joined the National Association of Personal Financial Advisors (NAPFA) and started D.L. Blain and Co., (originally Blain Investment Counsel) becoming one of only a handful of firms in the nation that offered comprehensive financial services on a fee-only basis. D.L. Blain and Co. had its genesis in providing a service to clients in the way David wanted to be served when he was looking for an advisor. A few years later, after earning the prestigious Chartered Financial Analyst (CFA) designation in 2003, David and his wife were able to fulfill their dream of living on the water by moving to New Bern, North Carolina. As they began their lives on the coast, David’s passion for offering financial solutions on a fiduciary basis was met with great success. Soon, it was clear to him that he needed to create a plan in case something happened to him so that his clients would not be adversely affected. He knew the best way to accomplish this was to build an elite team of advisors and support personnel who could deliver the same level of service while guaranteeing there would always be more than one person accountable for their needs. David started by creating a client service department. This ensured that he and other advisors could focus on the clients’ planning and investment needs, not time-consuming paperwork and processes. Then, over the span of several years, he continued to hire highly-credentialed advisors from all over the country, creating an extremely skilled advisory team. In the summer of 2013, David was presented with an opportunity he knew would position BlueSky to improve the financial lives of many more people; D.L. Blain & Co. would acquire Pleasanton Financial Advisors in Pleasanton, California. The former owners chose David’s firm over several other offers because they were impressed by the similarities of the two companies, and the unique and distinctive perspectives they shared on advising clients on investment and financial affairs. As the firm began this exciting new chapter, David felt he needed a new name that would better describe the optimistic future of the firm, so he changed the name to BlueSky Wealth Advisors. Then, two years later, another incredible opportunity came along allowing the acquisition of a second fee-only firm, LifeStream Financial, in Santa Clara, California. Today, BlueSky Wealth Advisors continues to thrive, finding new and innovative ways of bringing fee-only financial services to successful individuals and families all over the world. This success is fueled by the commitment we have to helping our clients improve their lives through the application of financial planning and investment strategies while addressing the unique circumstances and goals of each individual and family we proudly serve. BlueSky Wealth Advisors' mission is to be indispensable in helping our clients improve their lives through the application of financial planning and investment strategies that address the unique circumstances and goals of each individual or family we serve.